This week's theme is 'Fun' I have taken a few photos this week, but none capture the word quite like this one ! 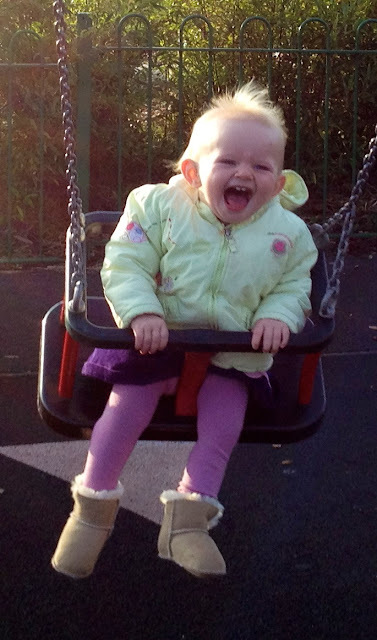 I did take it last autumn, so apologise for the repeat view, but it really does capture my little girlie having 'fun' she just loves the swing ! I'm sure she'll hate this photo when she's older, but it captures her personality wonderfully. 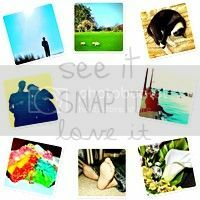 If you want to see more entries into this week's 'see it snap it love it', just click on the badge thingame below. Join in too if you fancy it. Everyone is welcome ! Awww, what a fab fun picture. She looks like she's having the time of her life. So cute.